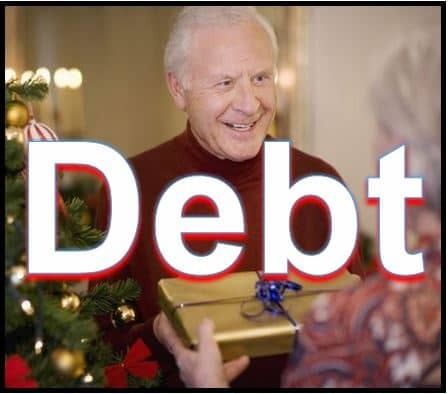 Canadian seniors’ debts have increased by 6.8% in just one year to an average of $13,380. Although they owe less than any other age group, their debt-burden is rising more rapidly than other segments. Canadians overall owed a record $1.523 trillion in the third quarter of 2014, compared to $1.448 trillion in the second quarter, Equifax Canada reported earlier this month. The average Canadian owes $20,891, excluding mortgages, which is 2.7% more than in 2013. Younger Canadian seniors, i.e. those aged from 65 to 70, often carry large debts because they are helping out both their adult children and aging parents. Many live on fixed incomes and also have unexpected medical bills to cope with. Equifax Canada urges Canadian seniors to be super-careful regarding their spending during the holiday shopping season. A study published by the Financial Consumer Agency of Canada earlier this month revealed that the number of seniors in Canada who are declaring themselves bankrupt is rising at an alarming rate. The authors said a growing number of Canadians are entering retirement carrying a larger burden of debt compared to years ago. Canadian senior debt is growing at an alarming rate, reports show. Financial Post quotes Blake Elyea, of Grant Thornton’s consumer insolvency team in Vancouver, who says they are dealing with a growing number of seniors as clients. In 2013, those aged 65+ represented 9.5% of their insolvency filings, compared to 9.2% in 2012 and 9.1% in 2011. Demand for credit in the third quarter of this year was higher than in Q3 2013, says Equifax Canada, driven mainly by car loans and credit card business. Are the debt estimates accurate? Brokers across Canada have questioned the accuracy of Equifax Canada’s debt estimates.